This Low Carb Cheesecake Fruit Dip is a creamy dip with the flavor of the tropics that is perfect for dipping your summer fruit! This dip is quick to put together, fits the keto diet profile of low carb/high fat and pairs perfectly with a bright and fresh Chardonnay. Creamy Mascarpone and Ricotta cheese are lightly sweetened with a sugar-free coconut and pineapple syrup, then mixed in the blender to make this to make recipe easy to assemble and even easier to eat! This cheesecake dip instantly became a favorite of both Grumpy and I! Wine pairing does not have to be hard. 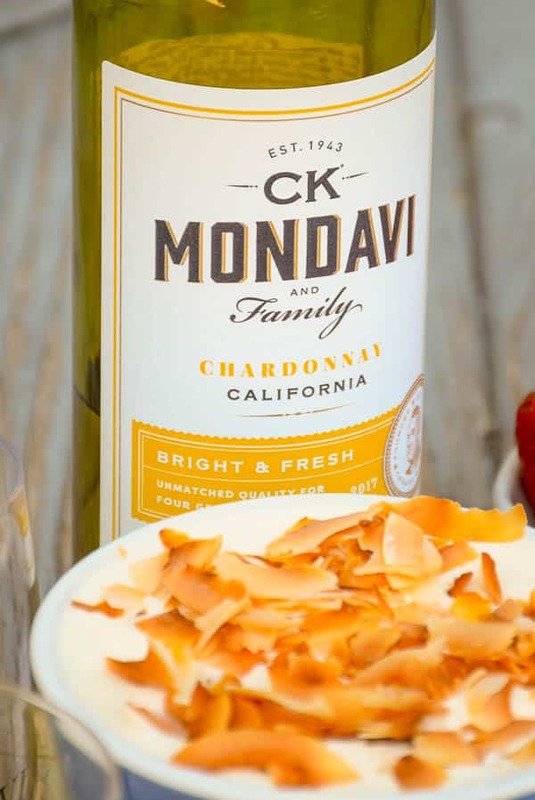 As a matter of fact, if you are only just learning about pairing wines, there is this incredible wine pairing chart on the CK Mondavi and Family website (must be 21 or older to click link) that you will find very handy! I used this chart myself when deciding what wine I wanted to pair with this particular recipe! Wine is also not saturated with carbohydrates. As a matter of fact, a glass of Chardonnay has about 3.2 carbs in a 5 ounce serving. I’d say that makes wine the beverage of choice for me when I would like an alcoholic beverage! 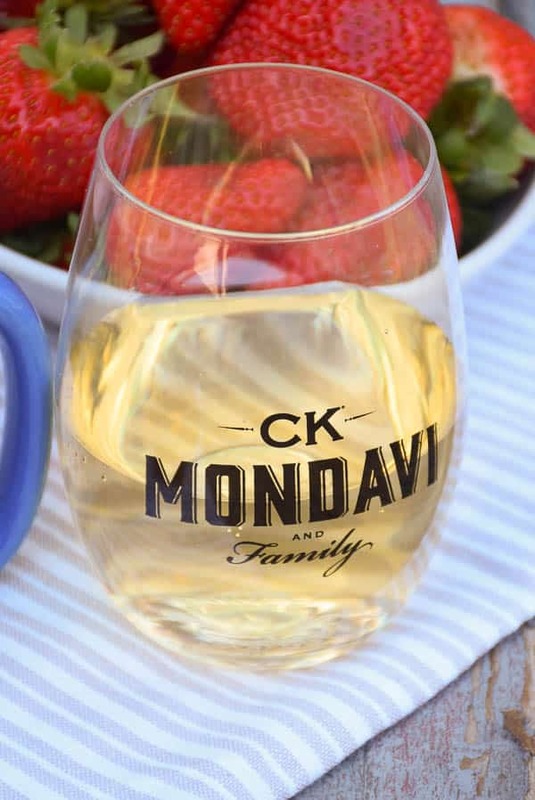 Recently the CK Mondavi and Family Brand Ambassadors were able to enjoy a wine tasting with the Rianna, the newest member to join the family business from the G4 clan! They sent us some Sauvignon Blanc, Chardonnay. as well as their Red Blend to try. You could also pair the Sauvignon Blanc with this dip, and maybe even the Red Blend (and use some blackberries to compliment the red and are delicious with the cheesecake fruit dip also!). 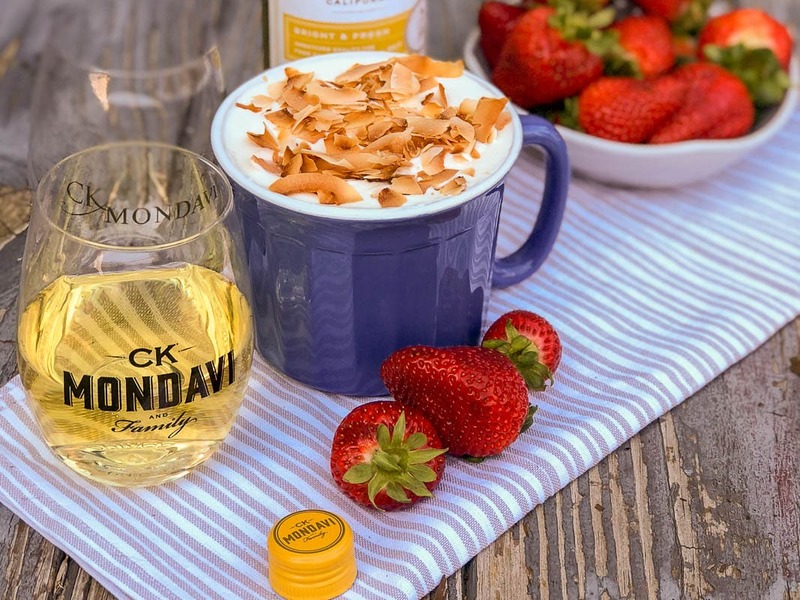 CK Mondavi and Family is running a monthly “#pairNpost” sweepstakes. 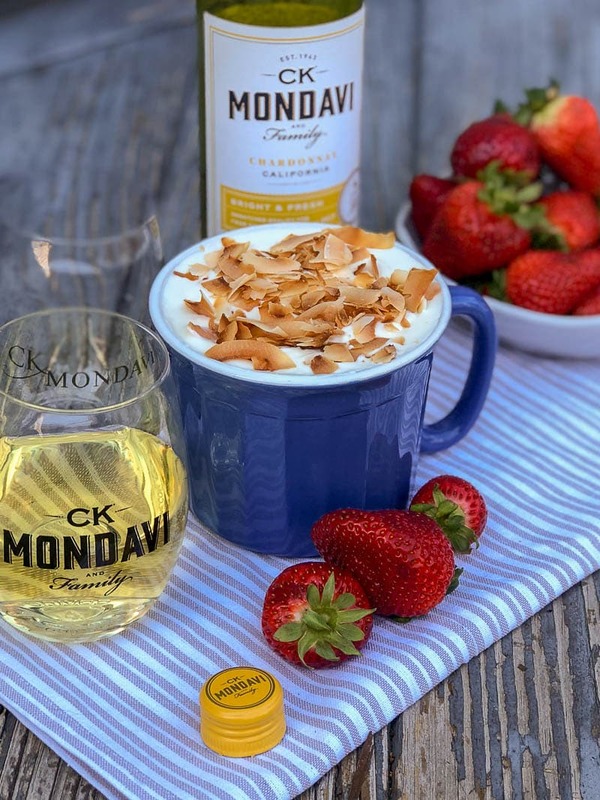 Instagram and Twitter followers can post of photo of their ideal CK Mondavi and Family pairing. Tag #pairNpost, for a chance to win a prize! Find more info here! Pin the recipe for Low Carb Cheesecake Fruit Dip! 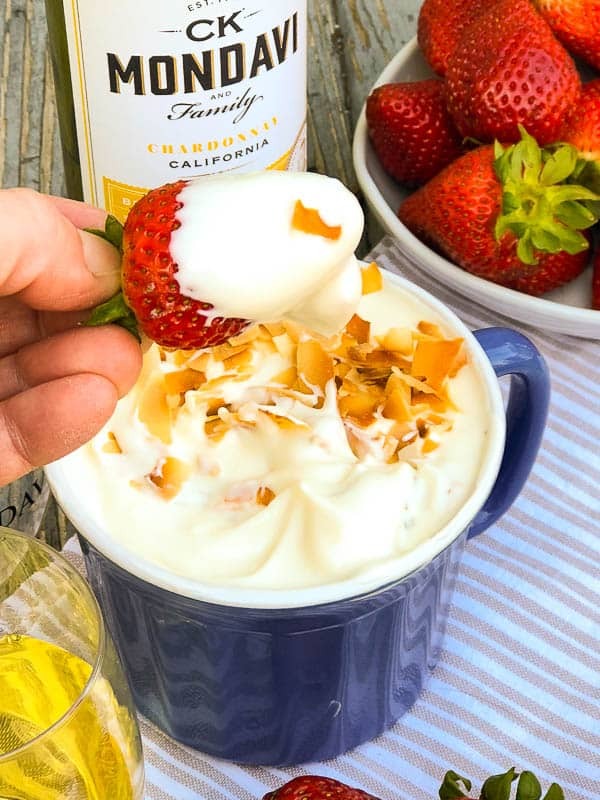 This Low Carb Cheesecake Dip is a creamy dip with the flavor of the tropics that is perfect for dipping your summer fruit! This dip fits the keto diet profile of low carb, high fat, it pairs perfectly with a bright and fresh Chardonnay. Calories: 89, Fat 9g, Carbs 0g, Fiber 0g, Protein 3g. this looks delicious! The photos are fabulous too! Happy Mothers Day! This fruit dip looks simply amazing!! Thanks for sharing!!! Such a refreshing dip for the summer! It sure will pair beautifully with CK Mondavi Wines. I love the idea of a dessert pairing. It looks delicious! I love chardonnay in the summer! That dip sounds delish! Never thought to add pineapple syrup to cheese dip …. great idea! I should be eating this instead of cheesecake 😉 It looks fabulous. Plus it’s great to know that Chardonnay is a good option for when we go out. Great to see you today!! Now I’m going to look around your blog! I love a good dip especially when entertaining! I would have never thought to pair this with wines but it sounds absolutely perfect! Looks perfect for a brunch gathering! Or an alternative to dessert at an informal gathering. This cheesecake dip paired with a nice glass of wine – this is my kind of special treat! My daughter loves dip and the act of dipping stuff in, so I am always on the look out for some new dips to try. This looks great! I love the idea of cheesecake dips! Looks and sounds so delicious and perfect for hosting! Love that wine is a low carb alcoholic beverage – also my beverage of choice! And this fruit dip seems to be the perfect pairing! What a wonderful pairing….so perfect for any party! Aside from coffee – for waking up and water for — you know, living… Wine is my beverage of choice! And now cheesecake dip is my new food of choice. 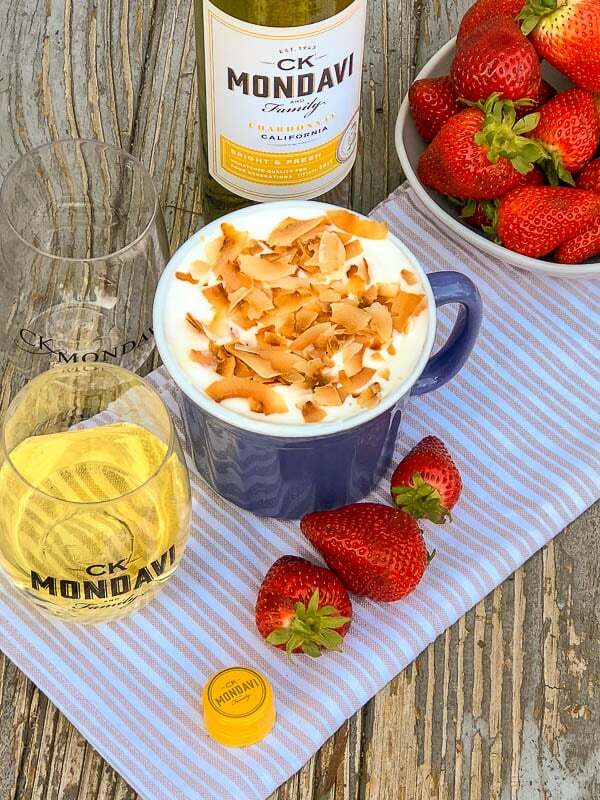 Yummy Love a good Chardonnay and this fruit dip looks fantastic, will try it, thanks! Pineapple syrup would sweeten that mix right up. Sounds perfect especially with Chardonnay.